After all the years of writing this site I’ve realised that I’ve not really mentioned how I got into phones. Sure, I can tell you that the phone which kick-started this site was the original Orange SPV, but what was before that? Well, get set for some time-travelling folks. Let’s head back to 1995 when I was at college. Back then mobile phones were in their infancy. Some of us would carry pagers, and I remember the embarrassment of ringing a call-centre and having them transcribe a rather “personal” message for a girlfriend so that it could be sent to her Mercury Pager. Some of those old pagers, especially the Motorola ones, were pretty stylish and – even back then – there was a concerted effort to target the younger end of the market too. However, one day I went to the Orange shop in Cannock. I believe it’s still there now. Due to my age I couldn’t get a phone as easily as people can now. I vaguely remember paying up-front for most of the cost of the phone, and that would only get returned to me half-way through the contract. It meant that the Nokia 5.1 I started with was properly expensive. It cost around £300 out-right, but it meant I could make and receive calls on the patchy digital network that was still in its’ infancy. Text messaging? You’re having a laugh. Mobile internet? Not a chance buddy. This is how mobiles used to be. I remember sitting in the pub (err… I mean… err … library) and extending out the plastic antenna in the vein hope of getting an extra few bars of signal. Back then I honestly thought that it’d only be months before the interior building coverage problems would be sorted out, but we’re still experiencing them today. I remember going to the “library” during lunch breaks at college, finding the phone number of the phone box opposite and then calling it on the mobile phone. It was like a revelation. We’d never been able to do anything like it before but, apart from perhaps adding contact names in, we did nothing else with the phones other than call each other. Then texting started. To begin with you’d find that networks would charge just to give you the service at all, and it took an absolute age to write a message. The “ABC” mode on those classic Nokia handsets was soon mastered though, and we became quite adept to writing messages in double-quick time. As time went on, I progressed to a Nokia 6130, but there were very similar models including the Nokia 5110, 6110 and 6130. The “Snake” game was always being played in the “library” and we’d copy ringtones to each other using infrared transfer. The might Nokia 6210 was, and still is in my opinion, an utterly stunning handset. A new version of Snake, polyphonic ringtones, epic battery life and predictive text input. Available from the year 2000, you’d still find it in use for years after. It did something called “WAP” too, which was a totally dire invention allowing chronically slow two-tone “pages” to download to your phone. Imagine old-school teletext, but in slow-motion and without the colour. That, then, brings me to the day I went to an Orange store in “Merry Hill” (a shopping centre near Dudley) and I found a newly-released phone called the “Orange SPV”. 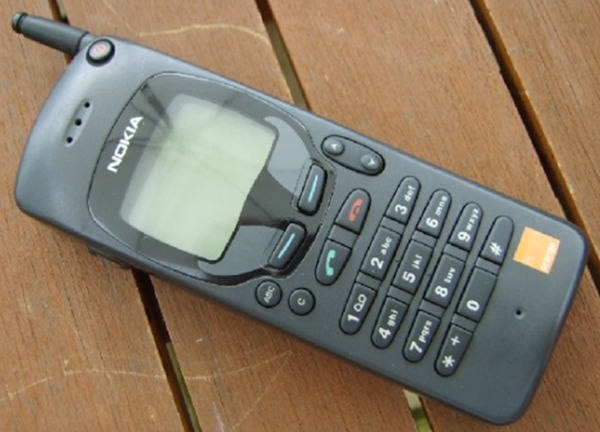 It had a colour screen, you could upload your own backdrops, your own ringtones and …. did I mention that it had a colour screen? A COLOUR SCREEN?!? In 2002 this has a blazingly-fast 132MHz CPU, 16MB RAM and a 176×220 pixel screen. It had a standard SD card slot (which let in a lot of dust, as did the earpiece) and you’d get the internet over GPRS. No WiFi. No 4G. No 3G. Not even EDGE. We’re talking GPRS here people. Still, in 2002 it was a revelation, and it started this site….